Welcome to the oil portrait of Henry and George painted by Nicholas at 16 x 12 size on Italian Linen Canvas. 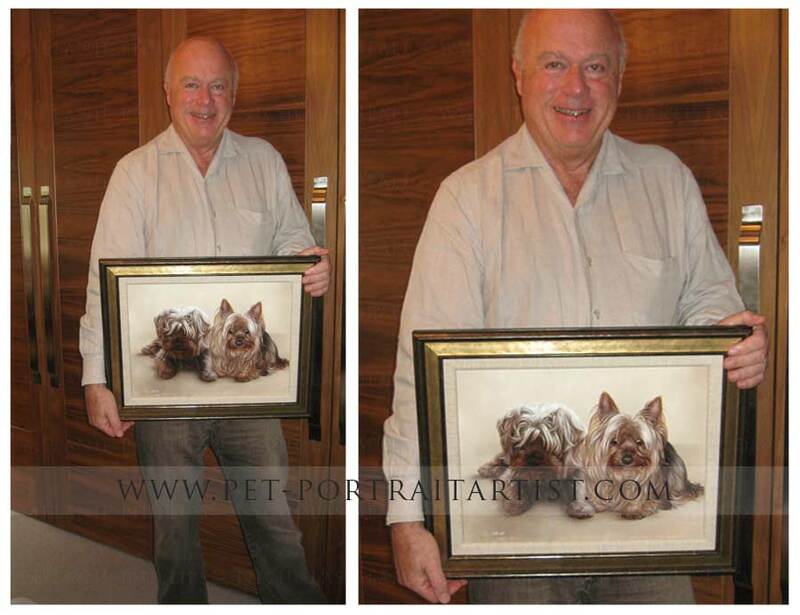 Lisa Shaw commissioned Nicholas to paint Henry and George for a birthday surprise for her husband Simon in June 2015. 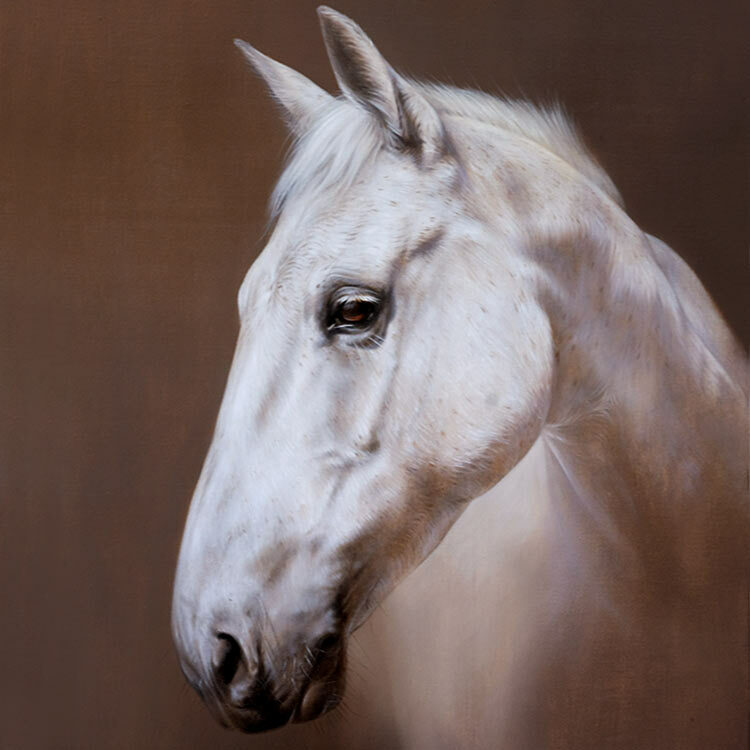 Sadly George passed away before the painting was complete, so it serves to be a wonderful memory for all of the family. Henry is still doing well at 18 years old and he posed beautifully for Lisa in the photo below. 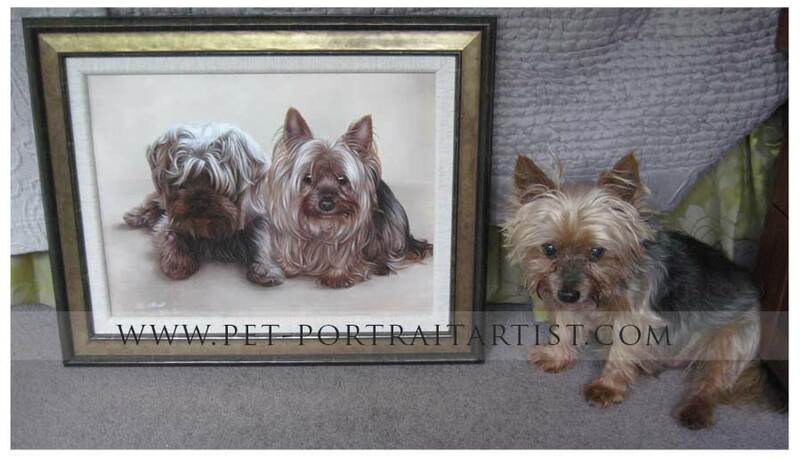 We always love to see photos from our clients when the paintings arrive or are presented to the recipient and Lisa very kindly took some photos of Simon and Henry with the painting. We hope you enjoy reading Lisa's testimonial email below and viewing the photos. Simon gets to see his present! He was quiet at first, thought he didn't like it. He was quiet because he was so emotional. 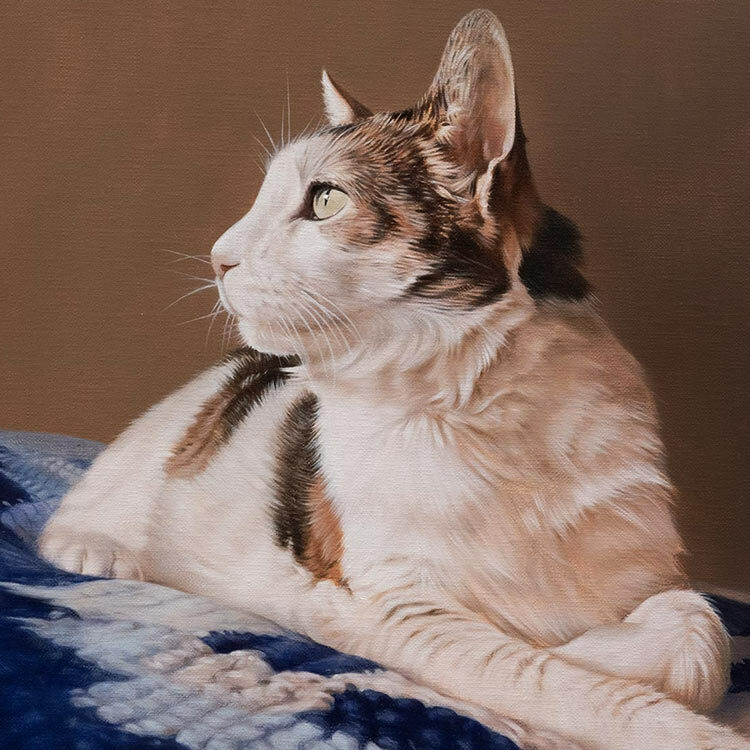 He LOVES the portrait, so please pass on our thanks to Nicholas. Henry thinks its pretty cool too! !